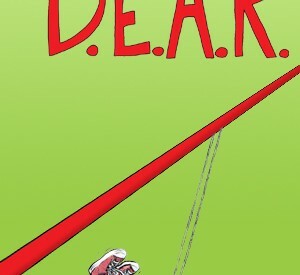 Tomorrow is D.E.A.R Day or Drop Everything and Read Day. It’s a day that celebrates the birthday of one of my favorite Young Adult authors Beverly Cleary. Her character Ramona Quimby, Henry Huggins, Beazus, Rigby, and Raplh S. Mouse (of the mouse and the Motorcycle) are known and loved by kids around the globe. I grew-up with these characters, and still have a special place for them in my heart. Which is why I’m helping our local library organize a D.E.A.R Day celebration. But you don’t have to be a library to celebrate. Have your own D.E.A.R Day at home. Remember your example is the #1 indicator of whether your kids will love reading. Read a special book together instead of watching TV. Pick a time, and have the whole family sit down to read for 15 mins. Check out or purchase a Beverly Cleary Book. I suggest Ramona the Pest or The Mouse and the Motorcycle to get started. Watch Ramona and Beezus together. Ramona loves to journal and make lists. Help your kids start a journal of their own. Just for Me: My Ramona Quimby Journal is a great tool to help them get started. Or you can get a plain journal and write down writing prompts on the first few pages to help spark their journaling experience.